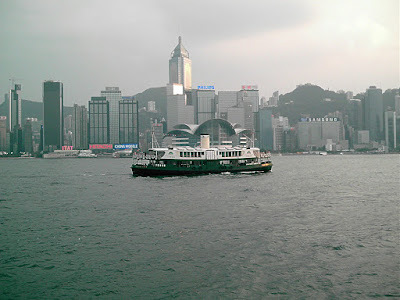 I am missing Hong Kong again so I thought I would share with you some photos of the Star Ferry which I took while traveling around Hong Kong in 2008. Enjoy! If I couldn't live here (Honolulu) then it certainly would be #1 for me (Hong Kong). I love it. 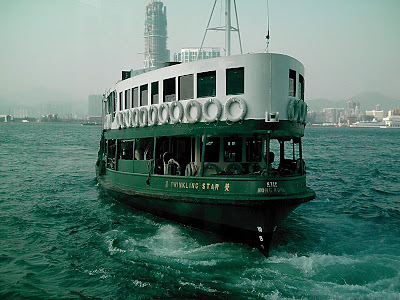 I lived in Hong Kong during the 1960's and the Star Ferry looks the same as it did then! I'll bet that's the only thing that hasn't changed. I suddenly missed HK too when I saw the ferry. TFS! Had a 9 day stay at Hong Kong. 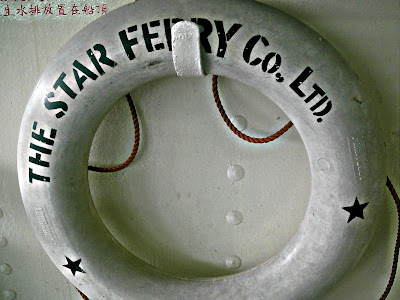 Walking around the streets and taking the Star Ferry were some memorable experiences for me. Even businessmen in fancy suits take it. With 1 HKD per ride, it was really a well thought of form of public transportation. 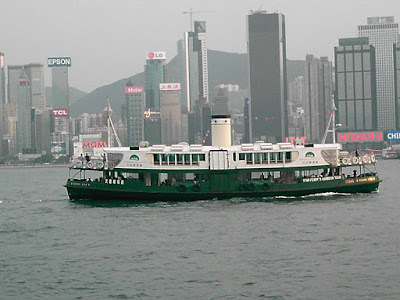 Now, Jo, WHEN aren't you missing Hong Kong...but I must admit, if I can't be cruising that Star Ferry is one heck of a bargain and fun boat ride! Wow..beautiful pictures, Jo! The water in each picture has different colors..
lovely pictures Jo, I understand why you miss Hongkong. Have never been there, hopefully, someday. A ferry ride would be fun. I would enjoy the water like that. It maybe fun for you to have the same ferry ride in Penang. You'll love it. Beautiful pictures! Love seeing place people have been. Opens my eyes and makes me want to see places I have never been too! Thanks for sharing these. 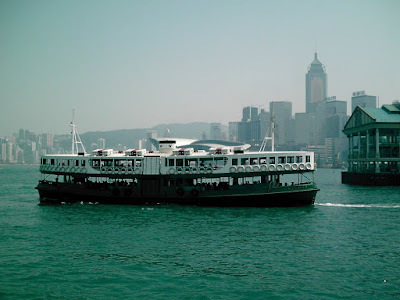 Hi Joanne, I've traveled HongKong and have enjoyed the Star Ferry too. Tasted Pecking duck for the first time and have so much medicinal tea (hehe) You are lucky to have nice shots of the Ferry! Liza, Yep, it has that allure for everyone. zorlone, It's probably the cheapest and most fun form of transportation around. Brillie, I hope so too. You'd love it there. Carmen, you have a point there. Icy, Yeah I got photos at all different times of day. The ones in the evening however did not come out that great so I didn't post them. betchai, You would really enjoy it there especially on the outlying islands where you can hike. rainfield, I know I probably would so maybe one of these days. Stacie, glad you enjoyed it.